If you are looking for a fun Christmas activity for kids, either to help the time pass or to keep stashed away for the kids table during Christmas dinner, these free Christmas coloring pages are a great addition to your collection. Three cute designs that work well for kids of all ages. 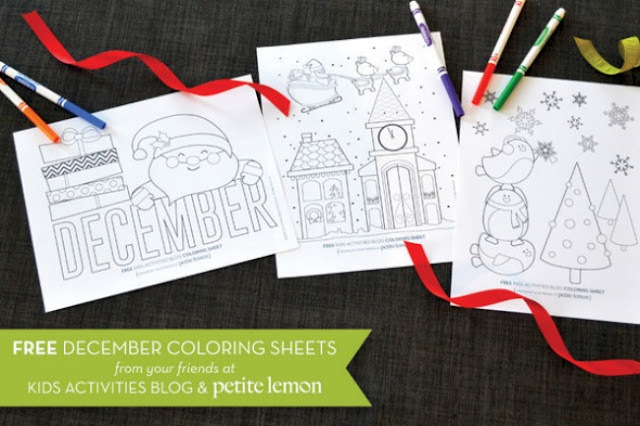 You can download these fun printable December coloring sheets over at Kids Activities Blog.